This little wonder will set you back $9.99, but considering how pricey some of the hardcopy campground archives can be, you’ll quickly realize the cost benefit. The Allstays app lets you find and research campgrounds all across the country, perfect for the trip navigator to use when scouting out your evening resting place. You can filter your results for a wide variety of options beyond the standard tent or RV searches, and it even lets you know about any low bridges along the route to the campground’s check in, perfect for those with a towering Class A who don’t want to scrape their roof on a graffiti-caked underpass. National Geographic’s app provides you with a thoroughly-detailed and interactive guide for dozens of national parks in the United States. It’ll cost you $1.99 per guide, but again, compare that cost to a floppy brochure available at the park’s entrance and you’ll quickly realize your savings. This app is particularly effective for diverse, far-reaching parks like Yosemite, where what you can see and do varies wildly depending on the time of year you visit. You’ll never get lost, or be at a loss for what to do next. If you’re looking for a daylong trek or biking trail to spice up your camping trip, this app from AllTrails gives you access to a network of user-uploaded info and images about thousands of trails across the country. This is the resource to have if you’re looking for advice and expertise about local favorites that might not get a mention in a larger archive. And since it can be yours at no charge, there’s really no reason to not download this app. If you’re a traditionalist who still spends a week in the woods without a modern day gadget of any kind, then I salute you. But if you need to be plugged-in anyway because of work or family responsibilities, you might as well take advantage of the many apps and tools that the smartphone can offer you to improve your time in the great outdoors. John is a tech writer and blogger who names Yosemite as his favorite park of all time. He writes for gadget insurer Protect Your Bubble, a leading insurer of smartphones, tablets, handheld electronics, and everything else that you might lose in the woods. Check out this best travel apps that are useful for you anytime. It’s hard to remember how bereft of navigational tools the average American was in the dark wilds of the 1990’s. GPS units weren’t mainstream yet, the only real portal to the Internet was the computer, and if your car broke down on the freeway you just had to hope you described your location correctly to the tow truck before your game of black-and-white Tetris killed your cell phone’s battery. Even the most prehistoric GPS probably has a feature that locates nearby gas stations. What sets GasBuddy apart is the pricing information that is constantly updated by its 23 million users, giving you access to every nearby station and the current price for unleaded with the flick of your finger. If you’ve ever played the game where you race across town to beat the rapidly growing price-per-gallon on display, hoping to find that one slow gas station where the attendant was too distracted by Angry Birds to bump his price up to match everyone else, then this app is for you. Just be wary of the too good to be true prices on there: There’s been a few reports of shady station owners uploading “bait and switch” prices that shave a few dimes off the actual price per gallon. Considering how serious Americans take our fuel costs, it’s probably best to just drive off and let the justice of the streets shallow them up, like a school of thrifty piranha devouring a gas-gouging antelope. After setting up an account (including your credit card info), you can use the Taxi Magic app to order a ride in seconds with your iPhone. If you’re in a city where every ten cars is a cab anyway, it’s probably not the most relevant, but for any of the mid-sized urban sprawls it’s perfect. You can also track the cab as it’s on its way, as well as pay directly through your iPhone, freeing you from one of the worst aspects of modern society—talking to people. Now you can just press a button to order and pay for a cab, leaving the driver to entertain himself with his own silly thoughts while you ride through life in a bubble of upper-crust entitlement. This one is strictly for New Yorkers, but if you’re a user of MTA’s Weekender—the website that lets you know where weekend construction and scheduled closings are happening on subway lines—you can now get that info on the go courtesy of the iPhone app. This is one of the travel apps that is far more beneficial to everyday commuters than vacationers, since you’re probably not worried about shaving 30 minutes off your travel time if you’ve been drinking all day and are looking for any excuse to not see Wicked. This app is kind of a jack-of-all-trades: everything you normally do, such as looking up restaurant info, addresses, gas stations, yelp reviews, movie times, etc., can be done via a slick and well organized package. You won’t see anything groundbreaking here, but it’s really easy to use, the brightly colored and tiled interface makes you happy, and it does have a feature where it’ll automatically call an establishment you’re looking up if you raise your phone up to your ear. If there’s one thing we need in the 21st century, it’s even less physical activity. Only the poor have to push a button to call people. These apps are great when you’re trying to relax in a new town, but they’re equally useful if you live in a city of any decent size and are just looking to get through your day. Just be honest about uploading those gas prices, unless you enjoy getting prison beatings from strangers. John is a blogger who considers Gas Buddy to be the single greatest driving-related app on the smartphone market. He writes for Internet insurer Protect Your Bubble, who can help protect your smartphone—including Samsung’s new Galaxy S4—from all of the possible harms in the world, whether you’re traveling abroad or staying home. Printing of PDF files is easy. But, if you have numerous PDF files that you need to print in short periods of time than you will have problem, as you will have to enter and print every PDF file separately. Today, hightechholic.com will present you one useful tool that will help you print numerous PDF files in batches, that will save you time and money. - Total PDF Printer has auto-rotate and fit to page features. Also there is the only landscape, or only portrait pages features. - It can save you great amount of ink, because it offers you to print in several printing modes, from high to draft. - Duplex mode, print PDF documents on two sides of a paper sheet. - Separator - If you print many PDF documents use this feature to separate the ones you want to be separated. The page you use to separate can be blank, or you can customize it. This will surely make you more effective and more organized. The UI is simple and easy to use and navigate. You will easily understand the software and start implementing it in no time. So, give it a try and start printing your invoices, contracts or bills in a effective and organized manner. Check the video for visual presentation of the features and download it for a free trial here. Communication with your colleagues via email is indeed good, especially if you want to send lengthy messages and attach documents in any file format. But, if you need to ask short questions, and get the answers fast, then IM application that will work on LAN is probably ideal for your organization. We will present you one of the best in the business - Softros LAN Messenger. Softros LAN Messenger is not only Instant Messenger application. It will also enable you to send or receive files over LAN network. What is required from you is to download and install the application on the computers with which you want to chat or communicate. - Offline messaging, you can easily send message to a fellow worker even though he is not online. 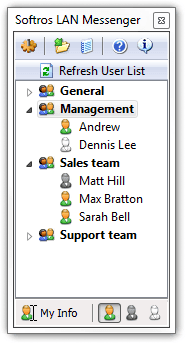 - You can group your contacts, for example your favorite colleagues you can put in one group. - There is message logging, so you will never lose your messages. - It doesn't require your computer to be connected on the Internet, because it is a LAN application. - Softros LAN Messenger supports numerous languages, so you can easily chat in your native language. - Administrators can easily restrict and control the functions for the users. - It is compatible with all Windows, even the latest - Windows 8. So, this messenger does not use Internet (thus it doesn't use bandwith and it is more secure from internet attacks like virus or IM worms), it is very easy to install and because it is an application, there is no need for you to setup dedicated LAN servers for LAN messaging. Download it here and improve the communication of your organization. After doing review about a roulette software yesterday, today we are reviewing a free lotto software that will help you improve your winnings in lotto, and maybe even winning the lottery. First of all, it is worth to mention that this software was praised and reviewed by the tech media giant CNET. It is also available to download on their powerful sub-domain cnet.download.com. Thus, the download and the software itself are checked and proven. This FREE software will enable you generating of the numbers for 4 kind of lottery games: Powerball, Thunderball, Lotto, and Toto. I'm using it for Toto in my country the last two days, and I've made some winnings, just to stay in the game. I will definitely announce if this software helps me get some bigger winnings or even the lottery. It is available in 38 countries and the lottery results from these supported lotto games can be automatically downloaded and updated. The UI of this software is great. It is so easy to navigate and you will quickly learn how to gain from it. This software will give you a pool of winning numbers, from which you can then choose from. Also, it will give you analysis of which numbers have the biggest chance for win in the next draw. It is the change you need to do, if you haven't won anything in a while and you are out of idea which numbers to play. So, what you waiting for, read more about it here, and download it here from CNET. I'm not going to lie to you. I like gambling, from time to time. I've lost some, I've won some,and we all know that gambling is fun and exciting. Nevertheless, for all of you passionate Roulette lovers, and for the beginners as well, I finally got something that will help you beat that, sometimes very mean and greedy machine. I'm about to present you one of the best roulette strategy that you can find online. This roulette software is surely one of the best on the Internet, with many satisfied users, including me. I used to win big cash on roulette, but then, like most of you, lost it all, and even spend and gamble money I don't have. Oppose to that, this roulette software goes step by step. It garranties long term success, consistently (which is the most important part) and large income from this addictive game. Even, if you are not fan of gambling and roulette, you can use this opportunity to make cash, because it is proven by me and many other, that it works. All you need to do is sit down and relax. There is no need for you to think what will be the next number, the software will do that and bet for you. You just need to check from time to time how things are doing, and change your strategy. Roulette Number has few unique and quality strategies developed by themselves. With the single number strategy for example, the software will make 185 spins in order to achieve profit, and the software will not back down until it makes you money. There is also the Progressive strategy, with which you will have unbelievable 185 spins again. Just remember, software will give you long term success. It will place bets for you, it will re-calculate the required amounts you need to bet, it will collect and calculate the winnings and it will automatically re-adjust its parameters. Work and processes that you will probably do wrong and on which you can lose money and time. So, Roulette Number can play for you, earn you garrantied money and thus make you happy. You can use it on over 250 online casinos, and it is available on multiple languages. If you want to make sure of other people winnings and to download the software for free trial, then go to their website. For all the businesses that need video surveillance, we are about to present one of the most quality and most affordable video surveillance software that you can find on the Internet - the Net Cam Center. The guys from Web Cam Corp did pretty dedicated and quality job in creating of this software. I also like the variability in their work. They offer multiple packages in order to satisfy wide variety of customer needs. So, lets check what they offer. 1. 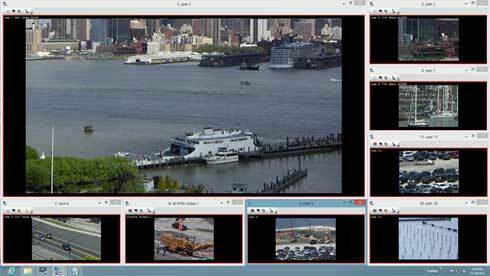 NetCamCenter BASIC (High performance HD video surveillance software) - Which is aimed for small and midsize businesses, which need to monitor and record up to 36 cameras at 640 x 480. 2. NetCamCenter PROFESSIONAL (Extreme high performance HD video surveillance software) - Which is aimed for big organizations which need to monitor and record large number of cameras. This edition utilizes both GPU and CPU in order to achieve extreme performance. So, with this software you will get professional surveillance from a NVR software that will enable you monitoring and recording video servers, video encoders, IP cameras etc. It has extremely smooth and easy to navigate UI. Everything is simple and you will definitely enjoying using this software as everything is neat, simple and well organized. Because of that you will save time and money in training cost. Some other cool features that we liked is that you can follow all the activity on your cameras on your iPhone, Android Phone or Windows 8 phone. The software includes and supports wide variety of video devices, it integrated with Apache HTTP web sever, there are thumbnails on every video in order to make search more efficient, alarms and sound detection, you can setup multiple usernames and passwords, there is PTZ control of the cameras and remote viewing, and also you can schedule recordings. Pretty neat, right? So, if you want to check out the software and buy it go to NetCamCenter. Do you enjoy solitaire games? Then this is one of the best and most beautiful Mahjong solitaire games that you will ever play. The game is very addictive and I've basically spent hours, and hours of playing this fantastic game. The game play is absolutely stunning and the sounds are wonderful and relaxing as well. Everything runs smooth and the graphics are rich, crisp and simply outstanding. 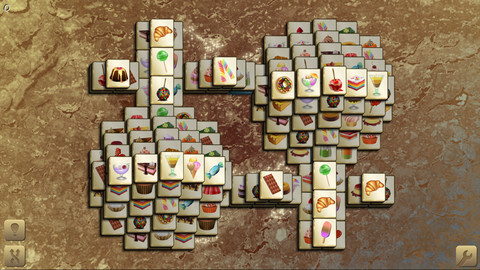 This game has 144 unique level designs and 8 different tilesets. That makes the game even more interesting and addictive. The scores are challenging as well, and there is combo system. There are two modes: easy and hard. The game is available on multiple platforms, but I enjoyed it the most on my iPad. Nevertheless, if you want simple, but beautiful, exciting and compelling gaming experience, then Mahjong Skies is definitely the game for you. Many people have asked me what to do after they start their blog. After you start your site, you really need to promote it a bit so you can get some readers. After all, what good is a nice new blog if people are not reading your content? Before you decide to spread the word about your blog, keep these simple tips in mind. I decided to write this post after seeing that http://hostingtavern.com/ wrote a nice tutorial on starting a blog. · A good design is critical to your success. However, the design of your site does not need to be very complicated; in fact, it can be extremely simple if it looks nice. WordPress and Blogger both have many designs to choose from and there are many great designers out there. If you do not like the intial look of your theme or design, you can always tweak the code to suit your needs. Interesting content is the most important aspect of your blog so do not get hung up on making your blog look fancy. · You need to have more than one post on your blog before you start promoting it. I usually suggest that the blog have anywhere between five and ten posts before you go out and start sharing and promoting it. People often ask me to share their content but their site only has a single post. This post may be great but you need to put a little more effort if you want active readers. Many other sites have already been writing content regularly so to stay ahead of the pack, you need to do the same before even sharing it. · Find out what social media people generally use so that you can actively promote your blog on these sites. I would recommend that you use Google+, Facebook, Twitter, as well as Pinterest. There are many people actively using these sites so it helps to share your blog there. Another helpful tip would be to put an RSS feed on your blog. RSS stands for really simple syndication and allows readers to get your content delivered to them directly. You can never go wrong with adding this. · Another tool you can use is called Bloglovin. This is an app and a website that lets people keep up on the latest posts from all the blogs that they like to follow. Think of it as a YouTube subscription feed. You should take advantage of this tool. Before you start any of these tips, you will actually need to start your blog. To learn how to start a blog, click over to the website and get a step by step guide on how to set it up. You really should be blogging and networking online and now is a perfect time to start. Smashing Cards Saga - Fun, dynamic, colorful..
Are you a fan of interesting, colorful and cool designed games? Then Smashing Cards Saga is a must have. I've personally played the game for the last few weeks and I can easily say now that I'm addicted to this dynamic cards game. There are 75 levels, smashing levels like they call them. 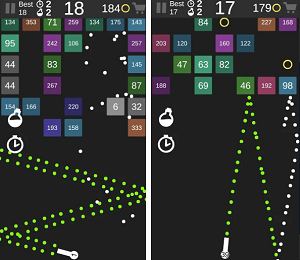 Personally, I think that the number of levels is what makes the game more interesting, because you simply want to pass all levels. 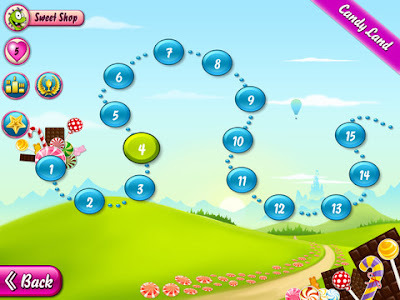 The developers of this game also created some additional fun features and awards. If you get 3 matches in a row you will get the bomb surprise, 5 matches in a row will get you extra time, 6 matches in a row will get you extra steps. This is great, because it motivated me to play more perfect and concentrated and little under pressure. That makes the game fun. The app is compatible with almost any iPhone, iPod Touch and iPad, but it requires iOS 5.0 or higher. The graphics is awesome, especially I liked the colors, and the sounds are pleasant and make the game dynamic. I especially recommend this game to the owners of iPad, it looks amazing on this device. The app is free and available on the App Store. 4 Apps That Can Help Protect Your Car - In recent years, the app market has continued to push into new areas of our lives, offering us assistance with our work, exercise, health monitoring, and more. It seemed only natural that our smartphones would inevitably be used as tools to make us safer drivers, and with the current vehicle-based apps on offer, that assumption has definitely been proven correct. Like any other app market, the seemingly endless variety of driving-based programs can quickly become daunting to the uninitiated, but if you’re interested in learning how your smartphone can assist you on the road, here are 4 basic apps that can help keep your car—and anyone inside it—safe. Most of these apps will require a windshield-or-dashboard-mounted bracket for your smartphone, and Car Dashboard is no exception. However, once you finally go through the hassle of mounting the bracket in your vehicle, Car Dashboard immediately makes up for the trouble by giving you an incredible range of helpful diagnostic readouts, like a miniature HUD screen from a cockpit. Temperature, elevation, speed warnings, compass direction, GPS info, and much more are immediately available, all within an attractive and futuristic-looking app that is easy to read. If you’re one of the many drivers who has trouble keeping track of your vehicle’s maintenance, aCar is definitely for you. This app gives you an incredibly easy way to keep track of the work necessary to keep your car rolling, including general maintenance, oil changes, fill-ups, mileage, receipts, and any other info that is important to keep on hand, both for the longevity of your vehicle and for any trip-based write-offs you may be eligible for come tax season. This app can be used as a helpful electronic eye that can warn you about potentially unsafe driving conditions, such as lane departure warnings, collision alarms, and more. Combining your phone’s camera and GPS with a few of its own custom sensors, iOnRoad can be used as an additional failsafe for keeping your concentration fully on the road when you’re behind the wheel. Additionally, this app can also be a great aid for parking in monstrously huge lots, as it can be set to automatically take a picture of your surrounding parking space and mark the spot on your phone’s GPS. One of the most popular driving-app categories is the “black box,” named after the device in a plane that makes a detailed recording of a flight’s history, useful if there’s ever an accident or issue that needs to be investigated. Since automobile accidents—even ones that result in no damage done to people or additional property—are an increasingly expensive event these days, it can be invaluable to have a video log of your driving day, giving you the perfect evidence for when you’re discussing how someone pulled out in front of you. Autoboy’s BlackBox is one of the best driving log apps out there, and with a particularly effective free version, there’s no reason not to try this out today on your commute. Once you start digging around iTunes or Google Play, you’ll quickly finding hundreds of apps that can be used to support the overall health of your automobile, but these 4 give you a nice sample tray of the main categories out there, and will let you determine if you’re interested in further exploring your options. John is a blogger who has been very fortunate in his driving history, although he once went over a year without having his oil changed. He writes for Internet insurer Protect Your Bubble, who can provide you great rental car protection for your next trip, even if you aren’t using a video black box to record your driving. With so many apps available, it takes something pretty remarkable to consistently hold your attention beyond a few initial uses. If something makes its way into your daily app rotation, and you want to reward the developer for all the hard work, plunk down a few dollars and go pro. The developer will stay in business for another day, and you’ll help encourage future innovation and game-changing entrepreneurialism. It’s easy to forget how powerful our little gadgets are these days. Within two decades, the personal computer went from a particularly expensive addition to a living room or home office to a ubiquitous device that rides around in the pockets of an increasingly large percentage of the population. They’ve become so common in our daily use that we often forget what their more powerful capabilities are. A complex app, such as a video game that existed on a $399 console a few years ago and is now playable on your phone, can help remind you of the technological treasure that we often take for granted. In the last couple of years, there have been a wealth of medical, legal, engineering, and architectural apps that have hit the market, and more professional fields are being included every day. If you find something that will make a considerable tool for your daily workload, make things simple and buy the whole program. If you’ve already determined that the app is beneficial, it’ll be far more time-effective to get the full version immediately, rather than constantly exploring the limits of the trial version whenever the need arises. If you’re tired of getting commercials for storm windows while you’re double-tapping zombies, or sick of desperately closing out pop-ups for life insurance while playing Fruit Ninja, you can always run your practiced finger over the “Buy” button and put an end to your misery. Buying the pro version of every app will quickly take away your finances for other things in life—like those storm windows—but doing it once and a while can give you a brief, blissful respite from the advertisements that bombard every other aspect of your online experience. John is a blogger who burns through most of his apps to quickly to buy the full versions, although he does have a few classic video games on his iPhone. He writes for Internet insurer Protect Your Bubble, who can help protect all of your gadgets—including your new Samsung Galaxy S4—from the many dangers in the world. SkySync is a simple, powerful Windows app that enables organizations of any size to synchronize and move files across storage systems including most cloud storage services, Microsoft SharePoint and network file systems, with incredible speed and control. SkySync’s comprehensive Dashboard provides both global and detailed views of all file transfer operations. Organizations can also easily link new storage systems and then sync, copy, move or archive files in just a few clicks. And that’s just the beginning. SkySync’s innovative interface enables users to search for files across all systems in a single click or instantly drag-and-drop files to or from any linked system. SkySync is designed the meet the demands of businesses of all sizes, from a single PC to multiple servers transferring terabytes of files. 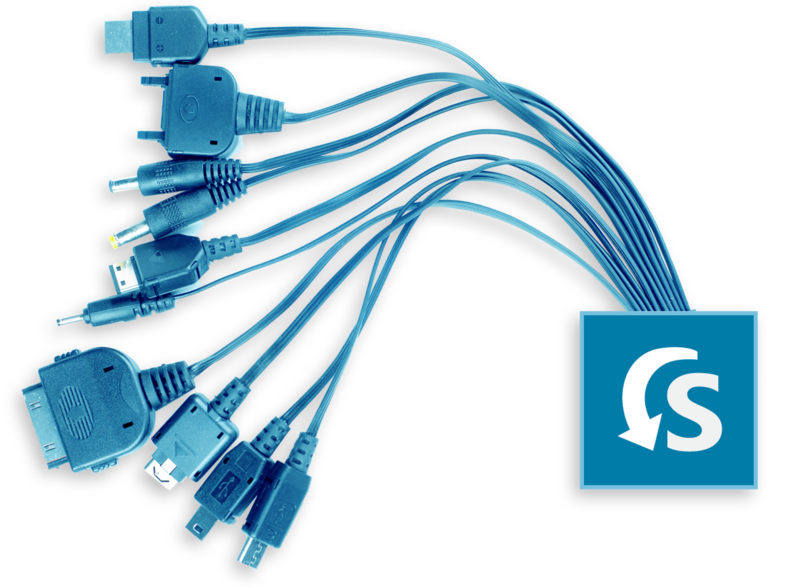 Currently, SkySync includes connectors for Microsoft SharePoint 2007, SharePoint 2010, SharePoint 2013, Microsoft Office 365, Huddle, Box, DropBox, SkyDrive, Citrix ShareFile, Google Drive and network file systems. You can learn more at www.skysync.com and a no–cost trial can be downloaded from the website. If you are one of those people that are very often on the social media, I think you will be interested in this quality and unique webs app. It will enable you to manage and follow what is new on your social media accounts like Facebook, Twitter or Instagram. You will need one time linking with your social media accounts and then Dwibbles will do a great job in selecting the best content for you, from all your social media. Your news feed will look fantastic and very interesting. Why? With time, Dwibbles will learn you and it will spare you from the posts you don't want to see and from the people that don't interest you. Dwibbles will enable you cross-service sharing of your status as well. You will be able to share the same status to Twitter, Facebook or Instagram only one time. With the notification bar, you will get notification from all of your social media in one place. Unlike your social media, Dwibbles will give you information about who unfollowed you on Twitter and Instagram. So, overall Dwibbles is clean, simple and fast website that will give you more relevant news feed, save you time with managing of your social media accounts from one place and it will enable you to share your posts to multiple social media at ones. Start using Dwibbles today and have more effective management and control of your social media. WishBooklet is a fun way of letting your friends and family know what you really wish and desire for. You can easily create wish lists for your personal needs, or your friends and family could fulfill your wish and buy you the product, or they can simply know what you want and you may talk about the product and give you shopping advices. First you need to sign up, which is very fast and simple. Then you will have your account on Wishlist and you can start. You can create different categories of your favorite items and you can create as many categories as you want. 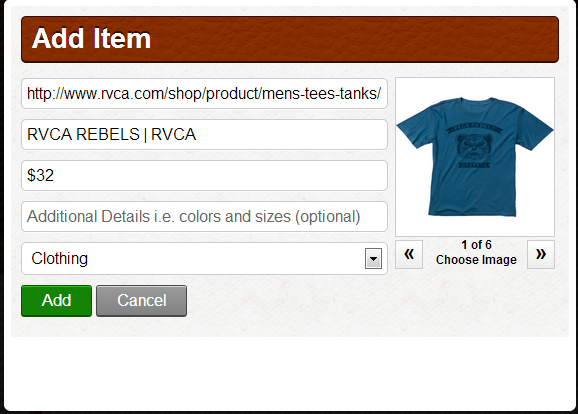 You can add your items in two ways. First you can use site's bookmarklet, which is installing wish it button. This method is the easiest and quickest. But, what is great about this website is that it allows you to add items from any online store. So basically you can go to your favorite online shops and add items from there on your wishbooklet profile. You'll just need to copy the URL, title, price, category and image. 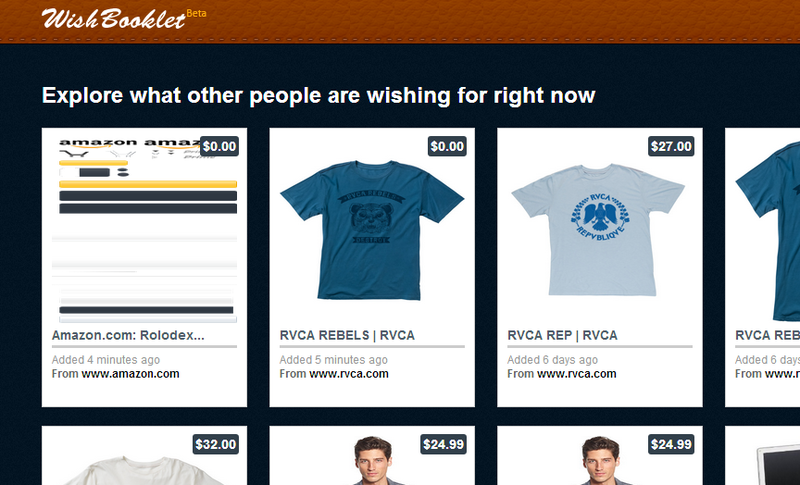 You can share any wishlist with your friends via Facebook, Twitter or send it as an email to all of your contacts. Also, you can follow your friends on wishbooklet and see what they wish for and have fun. There are the standard features in your profile, like putting avatar, changing email and password etc. So the site is very unique, interesting and fun. It is basically a social wishlist website. I'm definitely having fun this few days with my friends and family, I even convinced my dad to buy me something. :) So don't hesitate and visit the site here. There are numerous VoIP apps available on Google Play. But today we are going to introduce you unique VoIP app. VoX Mobile VoIP/SIP Phone will enable you to make international calls on mobile phones around the globe. As I said, you will get the option to make free calls, send text messages and make video calls, if the people you want to call have installed this app on their phones and they are connected to the internet. This alone, is great. But, there is more. The app will enable you to make international calls on mobile phones. 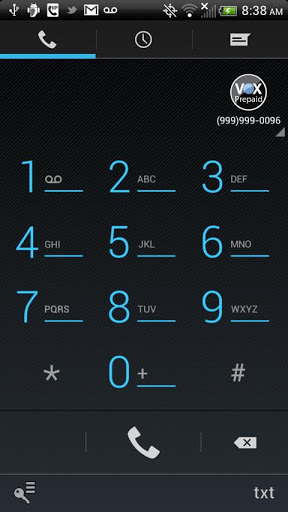 It will give you additional number to your mobile phone number, so you'll have 2 lines. With the line from VoX you can call anywhere in the world and thus save huge reasonable amount of money. It is way cheaper than Skype and Vonage. In order to get a number and account you'll just need to do short and simple sign up. After you finish it, you can start with calls right away.You can also view and manage your account online on your PC or lap top. What is great is that you will get 60 minutes free with this sign up. You can also view the price for every country and create multiple accounts, for which you will get multiple numbers. The app is easy to use, fast and the UI is clean. I'm basically making most of my calls through the app, because switching between your mobile number and your VoX number is done with just two taps. So, if you want quality VoIP app which you can use for international calls as well, download it free on Google Play and check their site here.